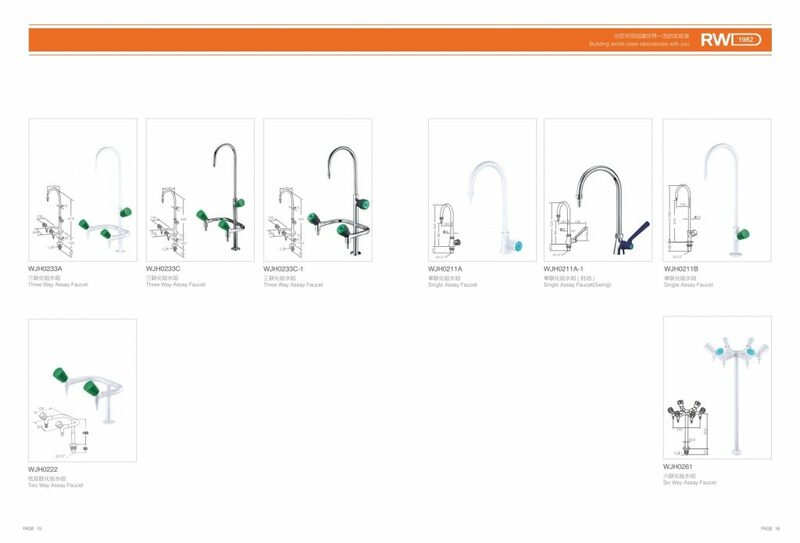 Why are emergency showers or eyewash stations important? The first 10 to 15 seconds after exposure to a hazardous substance, especially a corrosive substance, are critical. Delaying treatment, even for a few seconds, may cause serious injury. 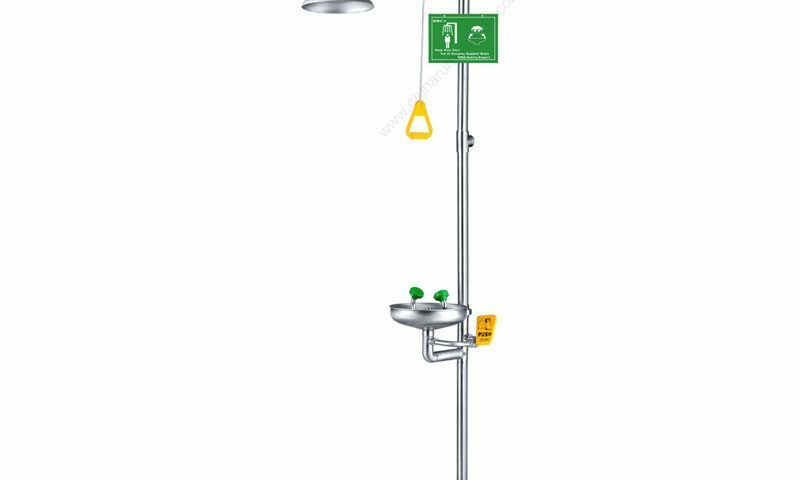 Emergency showers and eyewash stations provide on-the-spot decontamination. They allow workers to flush away hazardous substances that can cause injury. Accidental chemical exposures can still occur even with good engineering controls and safety precautions. As a result, it is essential to look beyond the use of goggles, face shields, and procedures for using personal protective equipment. 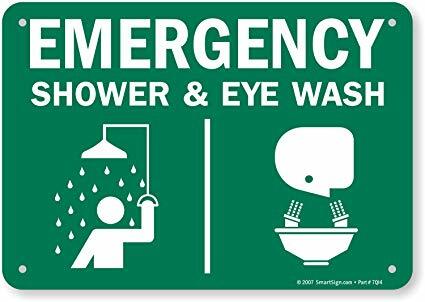 Emergency showers and eyewash stations are a necessary backup to minimize the effects of accident exposure to chemicals. Emergency showers can also be used effectively in extinguishing clothing fires or for flushing contaminants off clothing. 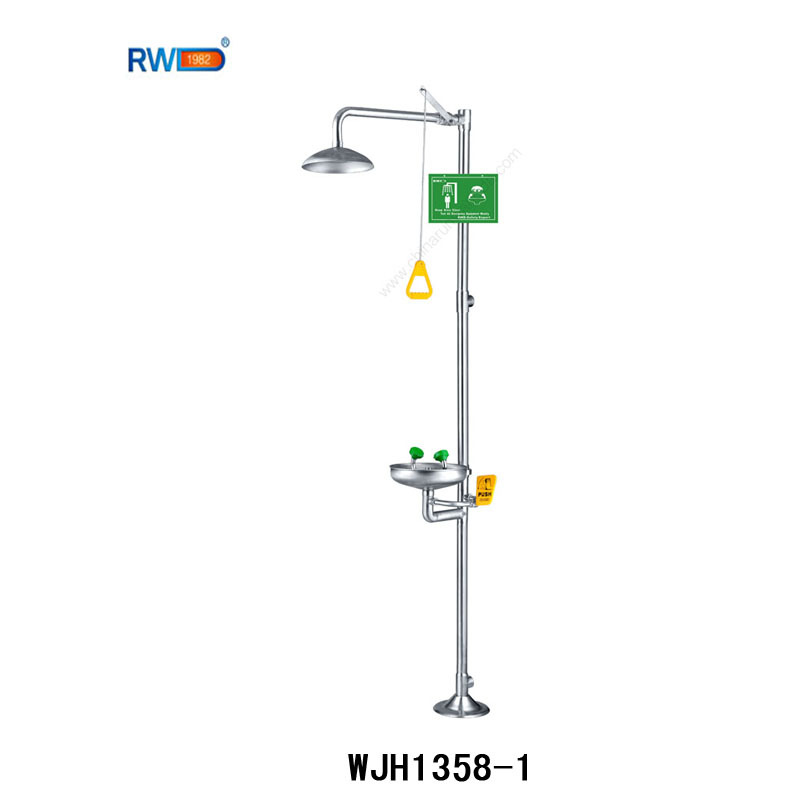 The emergency shower should deliver a pattern of water with a diameter of at least 50.8 cm (20 inches) at 152.4 cm (60 inches). This diameter ensures that the water will come into contact with the entire body – not just the top of the person’s head. ANSI also recommends the shower head be between 208.3 and 243.8 cm (82-96 inches) from the floor. The minimum volume of spray should be 75.7 litres/minute (20 gallons/minute) for a minimum time of 15 minutes. 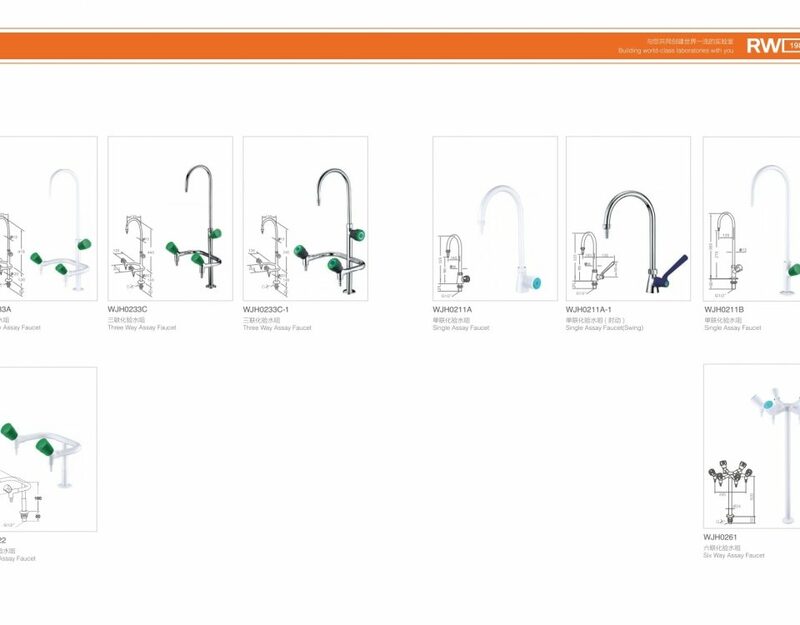 The shower should also be designed so that it can be activated in less than 1 second, and it remains operational without the operator’s hand on the valve (or lever, handle, etc.). This valve should not be more than 173.3 cm (69 inches) in height. 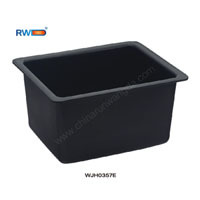 If enclosures are used, ensure that there is an unobstructed area of 86.4 cm (34 inches) in diameter.